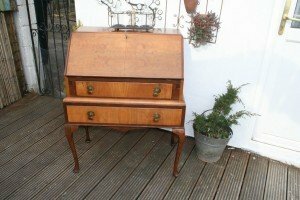 A vintage solid wood bureau desk, having a fold down desk above two brass handled drawers. 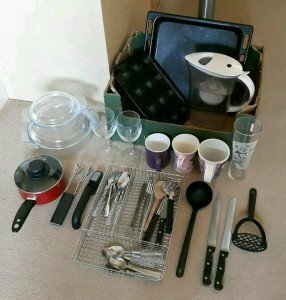 A large collection of kitchen accessories, to include a stainless steel bread bin, a kitchen roll holder, a fruit basket, a dinner set, coffee cups, a gravy bowl, mixing bowls etc. 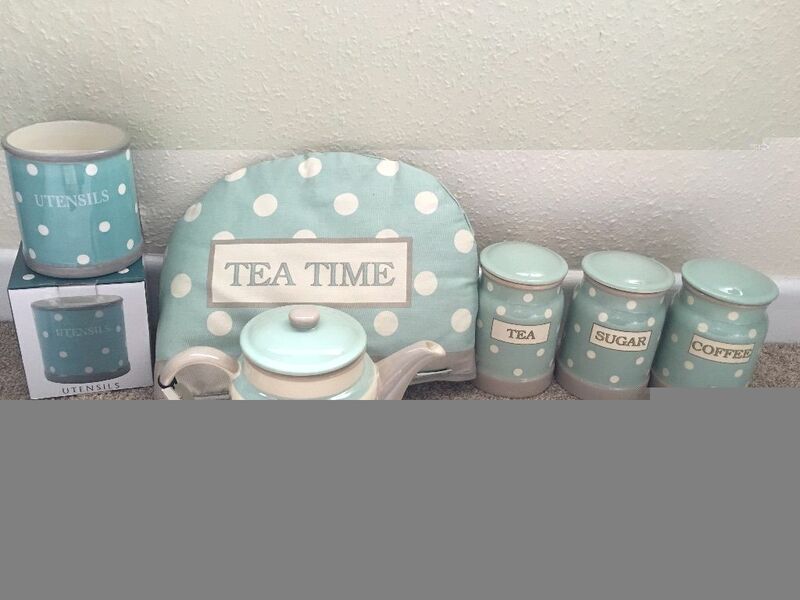 A collection of duck egg blue and cream kitchen accessories, to include a teapot, a utensil holder, a kettle cover and tea, coffee and sugar canisters. 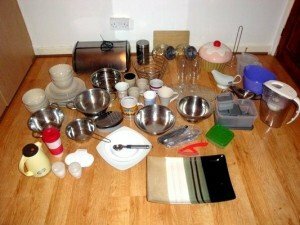 A collection of kitchen accessories, to include a lidded saucepan, lidded pyrex dishes, cutlery, utensils, cups, glasses, trays etc. 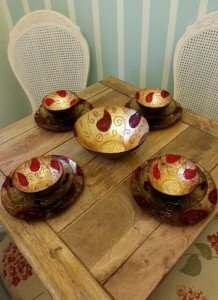 A Turkish thirteen piece metallic red and gold leaf patterned dinner service, includes a large serving bowl, four soup bowls, four side plates and four dinner plates. 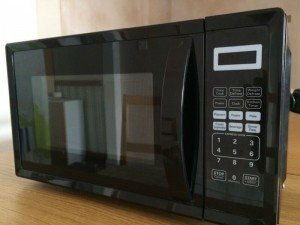 A 20L large capacity 750W black counter top microwave oven. 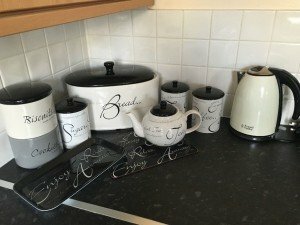 A large collection of black and white kitchen accessories, to include a bread bin, a double biscuit jar, a teapot, a kettle, a tray, a placemat and tea, coffee and sugar canisters. 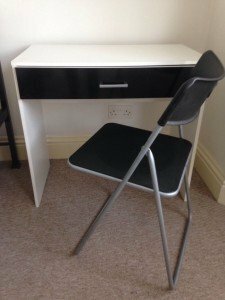 A white and black small one drawer desk, together with a plastic and metal fold away chair. 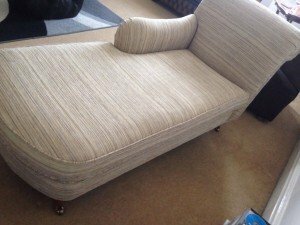 A large high back chaise lounge sofa on brass feet, upholstered in cream textured fabric. 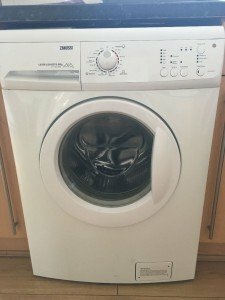 A white under counter Zanussi ZWN6120L 8kg load capacity washing machine. 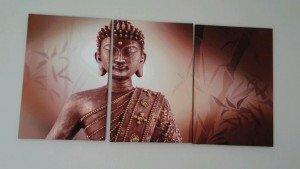 A large three piece wall canvas, depicting a bronze buddah in front of leaves against a bronze ground. 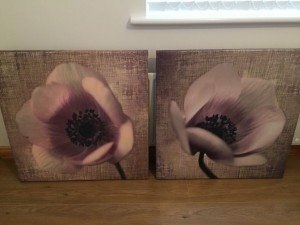 A pair of large square wall canvases, depicting pale pink flowers against a washed out silver ground. 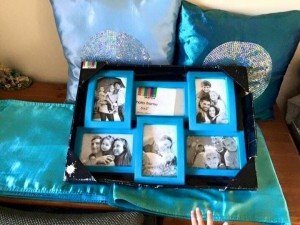 A collection of blue and teal home accessories, to include a new multi photo frame, two cushions and a pair of curtains. 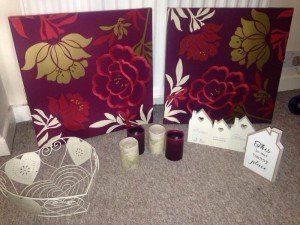 A large collection of home accessories, to include a pair of square wall canvases, a cream metal heart shaped fruit basket, four pillar candles and two house shaped ornaments. 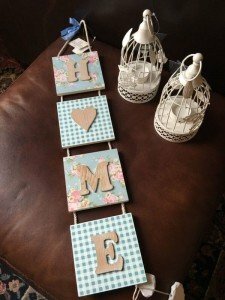 A collection of shabby chic home accessories, to include two metal birdcage tea light holders and a wooden wall plaque. 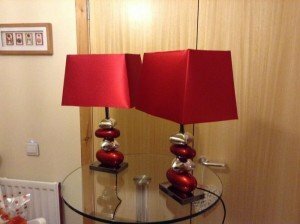 A pair of metallic red and silver stacking stone table lamps and unusual shaped shades. 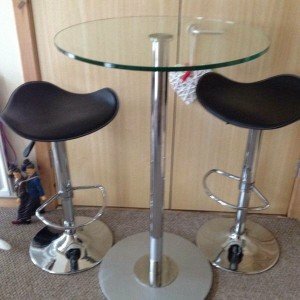 A tall standing stainless steel and glass topped bistro table, together with two matching swivel barstools. 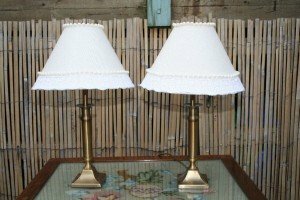 A pair of vintage tall standing brass bedside lamps, together with cream pearl embellished shades. 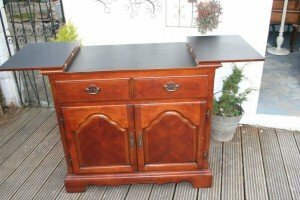 A vintage solid wood fold out side board, having two drawers above a double cupboard. 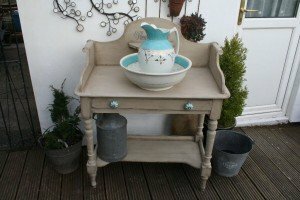 A hand painted solid wood wash stand in the shabby chic style, together with a porcelain wash jug and bowl.